This workshop introduces a set of simple but powerful tools for creating a vivid picture of your customer (buyers and users), a picture that’s both actionable and testable. This workshop is followed by a workshop on lean/Lean Startup and testing new ideas: Venture Design II: Iterating to Success. We’ll use this briefly as an organizing tool. Materials: Index cards & sharpie (or pen; whatever)Notes:Have the students use one index card per persona. It uses more cards but they’ll be layering additional detail on those cards and need the space. And they’ll be sorting them as well. Suggest they use the naming convention on the slide, ‘Andrew the Accountant’, for example. This helps (some) keep the personas real and human. As with all the exercises, each team member should do this individually. They’ll do peer reviews and can compare notes later. If they work in teams, they’ll spend a lot of the time negotiating and discussing. Notes:- What problems (desires) do you believe the various personas have that are relevant to your venture?- What’s their alternative (or alternatives)? What are they doing right now instead of using your product? – What’s your value proposition for them? You may find it more convenient to use the screen cast for this.I start by finding a photo on social media to warm up the customer discovery- not strictly necessary but I find it helps keep teams moving in the direction of humanizing the persona. I find a photo in the screencast and you may find it more convenient to use that. Otherwise, find a photo, any photo that represents your persona- someone you know or know-of. If B2C, Facebook is good. If B2B, LinkedIn is good and drop it into the personas section of the Venture Design template. 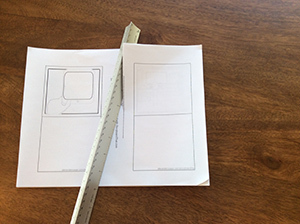 Customer interviews: Show the corresponding section of the Venture Design template. Google AdWords: I use the same above examples. Notes:I point out the Venture Design page as a good jumping in point if they’re looking for materials.